The desk in my new guest room (last post) needed a chair to go with it! 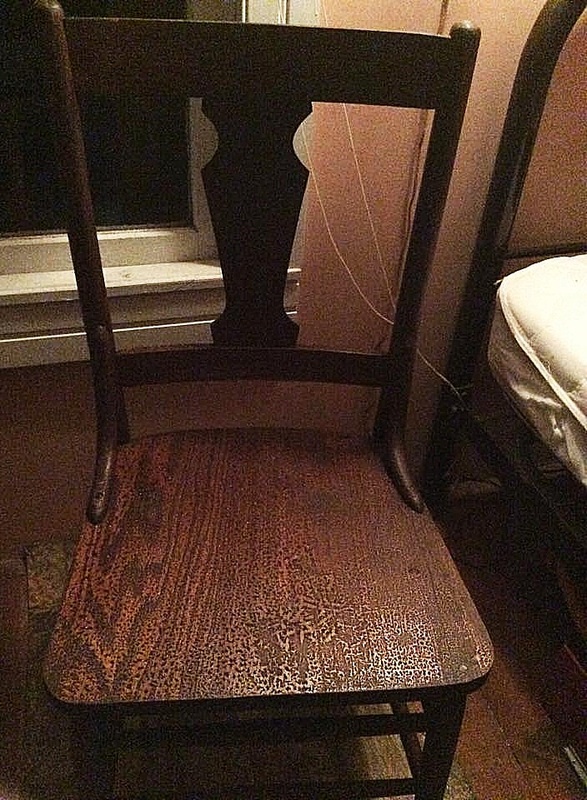 My niece had several in her attic (left there by the previous owner), but only one was narrow enough to fit the desk. From being stored in an attic the varnish had bubbled and hardened to a black, crusty appearance. 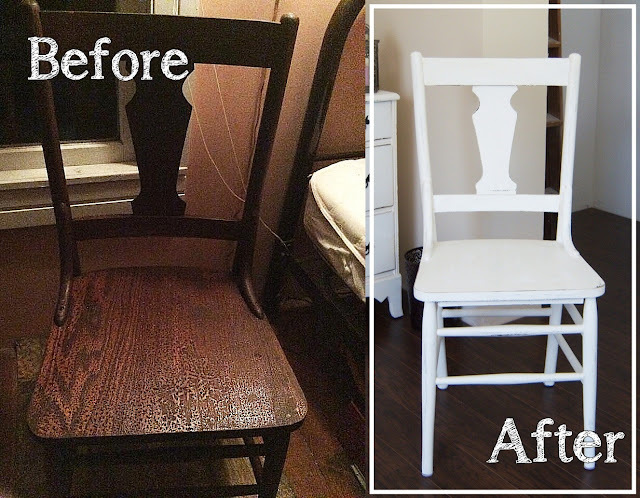 After sanding it down, I applied my homemade chalk paint and WHAT a transformation! The style compliments the desk nicely - and you can hardly beat FREE! Oh I like free and you did a wonderful job on it, really fresh addition to your room!